An influential group of Alameda property owners wants to raise $500,000 by year’s end and up to $2 million by next fall to block just cause evictions and defeat political progressives. Property owners plan to spend big to elect landlord-friendly politicians. Alameda landlords plan to raise at least $500,000 before the end of the year, as they gear up for another ballot fight over tenant protections on the Island in 2018, the Express has learned. Landlords are also preparing to raise huge sums to unseat progressive members of the Alameda City Council in the November 2018 election, according to an email sent by Alamedans in Charge, a group of influential landlords that spent heavily in the 2016 election to defeat a tenants’ backed rent control measure. In all, Alamedans in Charge plans to raise $2 million for next year’s political campaigns, according to a source with knowledge of the group’s plans. If successful, the landlords would shatter the Alameda record for campaign expenditures — and would double what they spent in 2016. The landlords’ planned spending also would dwarf the $100,000 spent last year by Alameda’s firefighters’ union, which has come under intense criticism for attempting to influence city politics. 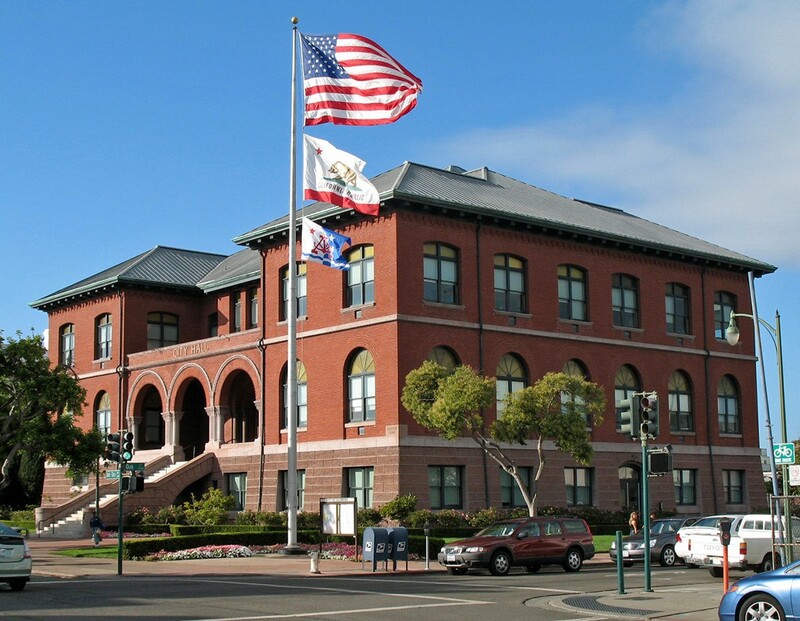 According to a recent letter penned by Don Lindsey, one of Alameda’s most influential landlords and co-founder of the property management firm Gallagher & Lindsey, Island landlords are girding for battle against tenants and progressive politicians and are hoping to recapture City Hall. “The war that we are fighting seems to be about rent control, but that is only a small part. It is the vehicle they are using to rally the progressive community to take control of Alameda,” wrote Lindsey in his letter, a copy of which was obtained by the Express. The landlords are also expected to capitalize on recent allegations that the firefighters’ union and progressive councilmembers Jim Oddie and Malia Vella improperly interfered with City Manager Jill Keimach’s selection of a new fire chief. Lindsay also warned that the progressive movement in Alameda will continue to gain momentum — unless landlords stop it. Two weeks ago, the city council formally approved a measure backed by landlords for the November 2018 ballot after property owners successfully gathered enough signatures earlier this year. The measure seeks to enshrine the city’s current weak rent stabilization ordinance — which was approved by the council in March 2016 — in the Alameda City Charter. If the measure passes, it would make it more difficult to make changes to the ordinance. Currently, the ordinance can be revised by a majority of the council, but if it becomes a charter amendment, any alterations would require a vote of the people — a far more expensive and onerous task. Landlords launched their campaign after the council voted to add just cause eviction protections to the city’s rent ordinance. The protections sought to forbid landlords from evicting tenants unless they had a just cause — such as failure to pay rent. But the council’s vote angered Alameda landlords, so they launched a two-pronged petition drive: a referendum against just cause and a ballot measure that would amend the city charter to block the council from approving just cause in the future. Both petitions garnered enough signatures to qualify for the ballot. But the council opted against placing the just cause referendum before voters and, instead, rescinded just cause from the city ordinance. The Alameda Renters Coalition supported the move, noting that fighting two landlord-backed measures next year would be prohibitively costly. Lindsey and other representatives of Alamedans in Charge declined to be interviewed for this report. But Councilmember Oddie is up for reelection, and landlords likely will spend heavily to defeat him because he voted for just cause. A source connected to Alamedans in Charge said the group plans to spend significant sums against Ashcraft, too, because she also voted for just cause (and against Vella, for the same reason, if she runs for mayor). However, only one council candidate who is popular with landlords — ex-Councilmember Tony Daysog — has indicated that he plans to run for council next year. In his letter, Lindsey urged landlords to contribute a minimum of $100 per housing unit they own. However, despite the group being named Alamedans in Charge, and the distinct nativist tone to Lindsey’s letter, he is directing property owners to send their contributions to an Oakland address that belongs to Oakland lobbyist Greg McConnell.